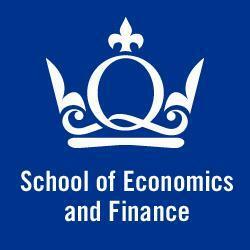 · £8000 Scholarships for MSc Finance and Econometrics. · £8000 Scholarships for MSc Investment and Finance. · £8000 Scholarships for MSc Banking. · £8000 Scholarships for MSc Banking and Finance. · £8000 Scholarships for MSc Business and Finance. · £8000 Scholarships for MSc Finance. · £8000 Scholarships for MSc Wealth Management. Students are not required to apply for any of the scholarships. They will be automatically considered for scholarship at the time of offer. For further details please see http://econ.qmul.ac.uk/postgraduate/masters/scholarships-and-funding/.